How do I access recommended applications on my Galaxy View using Galaxy Essentials? 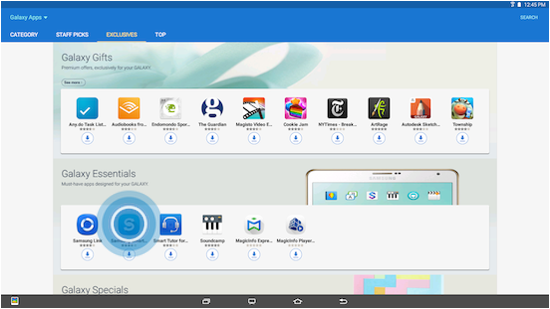 Galaxy Essentials is a collection of specially chosen applications available through Galaxy Apps. From Galaxy Essentials, you can access and download a collection of premium content, free of charge. Note: Screens and settings available may vary by wireless service provider and software version. 1. From the Home screen, touch Apps . 2. 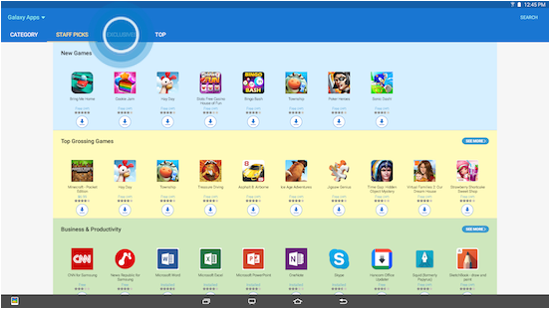 Touch Galaxy Apps . 3. Touch the EXCLUSIVES tab. 4. 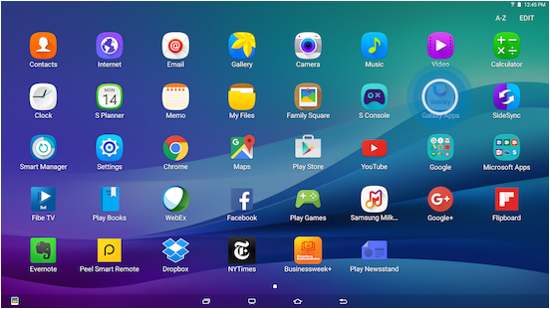 Under Galaxy Essentials, touch an application to see more information about it. 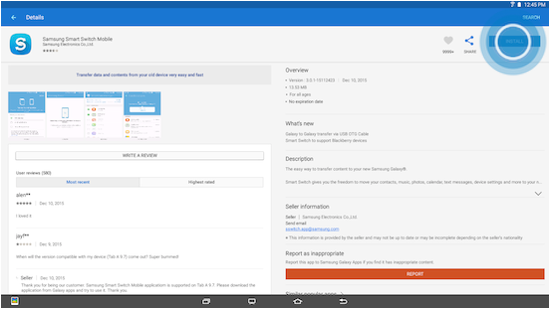 Note: You can also touch to begin downloading an application immediately. 5. From the application description screen, touch INSTALL to download the application to your device. 6. 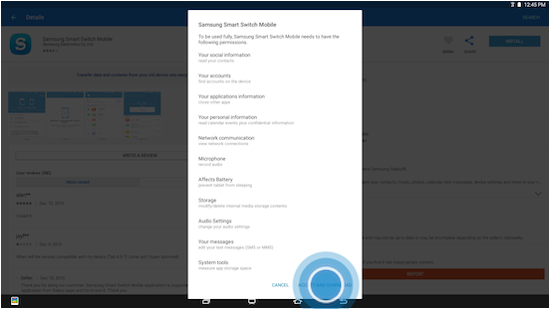 The App permissions screen to displays information on how the app interacts with your device. Touch ACCEPT AND DOWNLOAD to agree to the app permissions and continue. 7. Touch Open to launch the app. Galaxy View: How do I Add a Samsung Account on my Samsung Galaxy View? What is the Do not disturb feature, and how do I use it on my Galaxy Tab S3? Galaxy Tab S3: How do I use Samsung Notes on my Samsung Galaxy Tab S3 (SM-T820)?